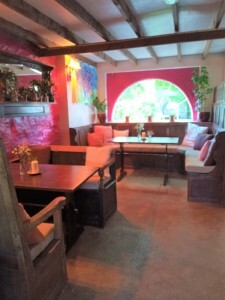 Renowned for its rustic charm and family-friendly atmosphere, the Wanderer's Rest Inn, located by the main entrance to the site, is fully licensed and open for drinks and meals to site guests and the general public. As it is a country pub, well-behaved dogs are also permitted. Children are allowed in the lower lounge area and the beer garden. The inn is available for special functions such as birthdays, anniversaries and so forth. For details of opening times, menus and to book tables or discuss a function call: 0781 584 3005.